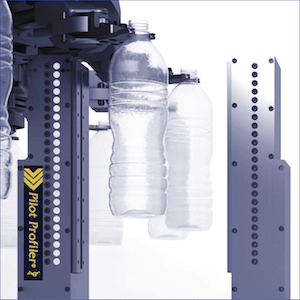 The Pilot Vision™ system is a modular vision-based inspection system that mounts inside the blowmolder to provide detection of random occurring defects during the production of PET bottles. 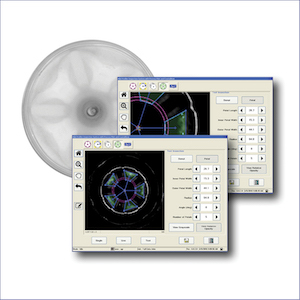 This system offers manufacturers a means to critically evaluate preforms and blown bottles for defects that may compromise the quality of the finished product. 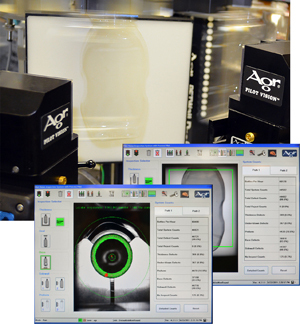 Pilot Vision is available as a stand-alone system, or as part of Agr’s Process Pilot® automated blowmolder management system. On preforms — contamination, crystalinity. opaque spots, un-melts, bubbles/blisters, burn marks, water spots, streaks . . .
On bottle finish seal — nicks, dents and scratches in seal surface, surface irregularities, seal surface integrity, inner/outer diameter, ovality, blown finish, choked neck, short shots . . .
On bottle sidewall — neck folds, clarity and consistency, crystalinity, contamination, dark spots, holes, under-blown containers . 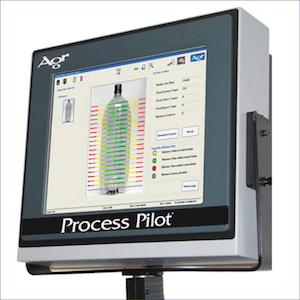 . .
On Bottle Base – holes, opaque spots, foreign particles, un-melted material, under-blown and improperly formed feet, folds, off-center gate, gate size, gate ovality/tears, gate holes . . . .
A better way to manage PET bottle manufacturing.